We appreciate the opportunity to assist you in your quest for improving your health through sound, balanced nutrition. It is our desire to help you in achieving your goals for optimum health. We will support you in your efforts to take responsibility for your health through education and guidance in the areas of nutrition, lifestyle modifications and biotherapeutic drainage to assist the body in eliminating toxins. Biodynamic Wellness strives to bring optimal health through nutrient-dense whole foods and nutritional therapy. Through one-on-one consultations, seminars and trainings and our weight loss program, you can begin to learn how the foods and nutrients you ingest are the building blocks for a vibrant, healthy life. It is our belief that God has designed the human body with the amazing ability to heal and regenerate itself when given real nourishment…physically, emotionally and spiritually. We look forward to helping you reach your goals to improve your health through embracing some very basic tenets of healthy living. Susie graduated from Pepperdine University in 1987 with a degree in sociology. As she noticed her kids’ illnesses recurring through conventional treatment and medication, Susie began to realize that treating symptoms was not always getting to the root cause of these illnesses. As a result, she earned her certification as a Nutritional Therapy Practitioner in 2007 and began implementing the principles learned to support her family and friends. Since earning her certification, Susie specializes in hormone balancing, gut healing using the GAPS Diet and supporting those with chronic disease through nutritional therapy and gentle drainage and detoxification. Susie has developed a passion for equipping new parents and parents-to-be with the information they need to raise happy, healthy children and she has helped guide many families through their transition to a real food diet, utilizing Nourishing Traditions and Weston A. Price ideology. She is an advocate of a parent’s right to make informed decisions regarding vaccinations. Susie focuses on addressing digestion as the root cause of ailments. She received her GAPS™ certification training under Dr. Natasha Campbell-McBride. She is an active member of the Weston A. Price Foundation. Susie and her husband live in Encinitas, California. 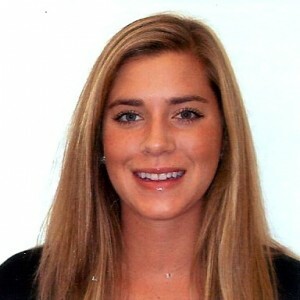 Anna is a degreed Nutritionist from California Polytechnic State University in San Luis Obispo. Anna completed extensive volunteer work in Thailand and Cambodia after college, where she began reading Dr. Weston A. Price’s research and experienced firsthand the truth of his findings. While in Cambodia, she worked in a clinic where she gained valuable medical experience but also witnessed the lack of sound nutrition in conventional medical care. She observed the diets of children who were chronically ill and experiencing stunted growth. This motivated her to pursue real food nutrition as a means to disease prevention. Anna has earned certifications as a Nutritional Therapy Practitioner and a Certified GAPS™ Practitioner. She works with clients addressing foundational gut issues, including malabsorption, food intolerances and allergies as well as providing support for athletes desiring to enhance their performance in competitive sports. Anna uses diet, gentle detoxification and nutritional therapy to support natural hormone balancing. Her passion for the principles of Dr. Weston A. Price influences her work with children as well as young couples planning conception. Anna also provides private in-home cooking classes using the principles of the GAPS™ Diet and traditional food preparation. Anna is a true San Diego native, currently residing in San Diego with her husband. After office hours you will find Anna outdoors hiking, cycling or enjoying San Diego’s beautiful beaches. Min’s love for cooking began in childhood but it wasn’t until she learned about the Dr. Weston A. Price’s research and the GAPS Diet that she began the journey that eventually led her to becoming a Certified Traditional Foods Cook. She now teaches both group and private cook classes, teaching clients how to prepare bone broths, true fermented sourdough breads, properly soaked grains and legumes, lacto-fermented vegetables and cultured dairy. Min has become a well respected baker and gladly teaches others her high hydration, slow fermentation sourdough bread technique. She is an inspiring, patient and empowering teacher. She is available for private in-home classes as well as her group instruction. Min resides with her family in Rancho Santa Fe. As a Nutritional Therapy Practitioner, Carrie is particularly passionate in helping those who are struggling with thyroid disease and other autoimmune issues. She personally struggled with health issues for years, but after turning to an unprocessed grain-free diet, a variety of detox therapies, and addressing the root cause of heavy metal toxicity, she was able to help her and her family reverse Hashimoto’s Disease, severe asthma, eczema, IBS and migraines. Carrie is the author of the successful cooking blog, DeliciouslyOrganic.net, and two cookbooks, Deliciously Organic and The Grain-Free Family Table. She is an active member of the Weston A. Price Foundation and currently lives in Florida with her husband and two daughters. Carrie is available via Skype and phone. Lindsea was influenced by the work of Dr. Weston A. Price from a young age and experienced the benefits of a Nourishing Traditions diet first hand. The gap between conventional teaching and traditional wisdom sparked her curiosity and led her to pursue a degree in Nutritional Sciences from University of California, Berkeley. Upon graduating, she earned her certification as a Nutritional Therapy Practitioner and began work on her master’s degree in kinesiology. While at California State University Northridge, Lindsea led biochemical research on the effects of diet and exercise on inflammation and insulin resistance and completed her program with a focus on exercise physiology. After finishing graduate school, she began her own nutrition practice in Los Angeles. While she has thoroughly enjoyed her own practice, Lindsea desired to be a part of the collaborative energy and expertise she found at Biodynamic Wellness. Lindsea’s personal experiences have helped guide her Nutritional Therapy focuses. During her time as a college athlete and in the post-collegiate world of fitness, she witnessed the significant competitive advantage of a nutritionally complete diet. She is passionate about supporting her fellow athletes, Crossfitters and weekend warriors gain that same advantage. And being recently married herself, the rising rates of infertility among young couples has ignited a desire to help her peers prepare for pregnancy with natural hormonal balancing and preconception health.